Even though we’re winding down the summer and doing the back to school thing over here, I still have a few summer guest posts to go this month! Today I’m excited to have Karen from From the Garden Table. Karen has prepared a delicious looking treat, which I personally think would be perfect for fall or the upcoming fall season. 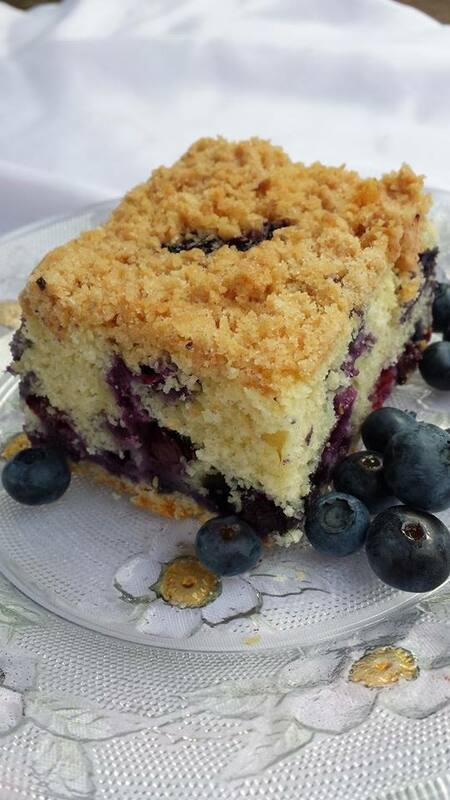 Check it out her Blueberry Buckle Coffee Cake! Hi! I’m Karen from over at From the Garden Table.com where I share my passion for cooking and preserving using the produce from my garden, the local farmer’s markets and anything else I see that looks delicious. I have been really looking forward to being a guest blogger for Jerri as I love her blog , especially the recipes! Here in New England, we are in the height of blueberry season and after my first outing picking at a local farm, this is one of the first recipes I make. 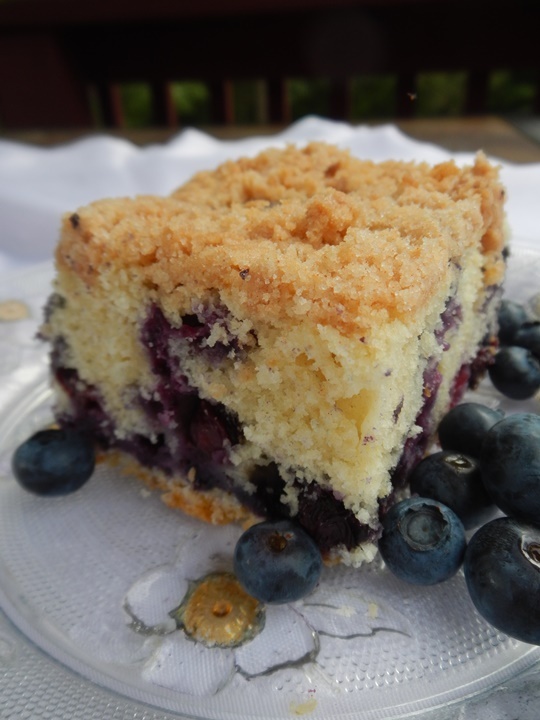 This Blueberry Buckle Coffee Cake has a big helping of fresh blueberries and is wonderfully moist. But what really puts this over the top is the crumbly streusel topping. Yum! Once out of the oven, when it is cooled just enough, my family dives into it. I am lucky if it lasts 2 days in my house! For Topping: Mix sugar, flour and cinnamon in a small bowl. Cut butter into flour mixture with a fork until it is crumbly. In the bowl of a mixer cream together butter, sugar, vanilla and egg. Add the milk and flour mixture, alternating between the two, ending with the flour mixture. Pour batter into a greased and floured 9x9 baking pan. Sprinkle topping mixture over batter. Bake for 40-45 minutes, until toothpick inserted in center comes out clean. After removing from oven, let cool for 10 minutes on a baking rack. Loosen the sides with a knife. Gently tip cake out of the pan and place on serving dish. Thanks so much again to Karen for being here today! Please go over and check out her other delicious recipes at From the Garden Table.